Common along the central and southern California coast and northeastern Baja, and ranges from the Columbia River, Washington to Magdalena Bay, Baja California. It is usually found in or near kelp beds, over reefs, around rock jetties and breakwaters or structures in shallow water and to about 150 ft. (46 m). 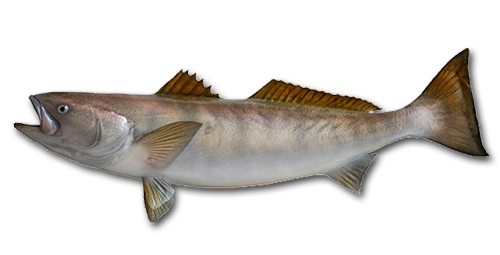 Because it is considered to be among the best eating fish and a powerful fighter, it is highly sought by sport fishermen. 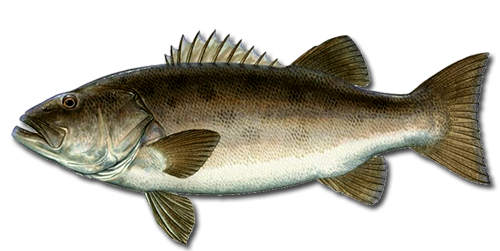 Calico Bass grow larger here then in other areas of the Baja California coastline. This is due to the rich nutrients and abundance of kelp shelter along the island. 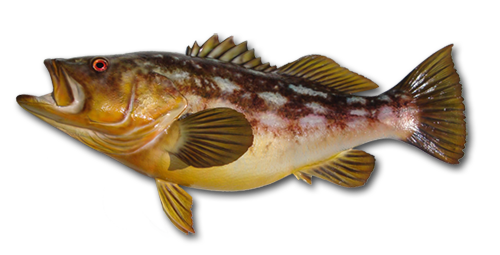 A prize for any angler in Baja or Southern California waters, calico bass in the 3 to 6-pound range are common around Cedros, though much larger individuals inhabit the island's near-shore waters. Occurs in some abundance throughout the Gulf of California and along the Pacific coast of North America from Baja California, Mexico to Los Angeles, California. Less commonly, it has been reported farther north, and on rare occasions, as far north as Washington. 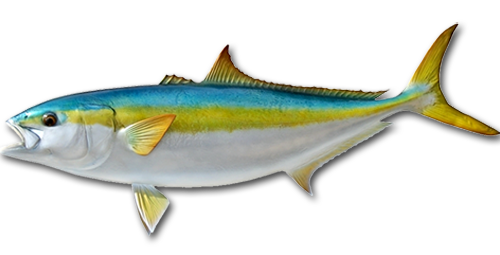 Yellowtail can also be found in abundance around the island. Cedros is one of the main breeding grounds for the species and hold trophy fish up to and above 40 lbs. This is one of the main targets for our anglers and most are taken during the late spring, summer and early fall months. The white seabass (Atractoscion nobilis) has an elongated body, large mouth, and a raised ridge along the length of its belly. It is grey-blue to copper on its back, with dark specks on its sides and a silver belly. It has a black spot on the inner base of its pectoral fins. Young white seabass have dark bars on the side. White Seabass have become another target species. They grow very large here in Cedros due to the limited fishing pressure. Some anglers who visit catch them up to and over 50 lbs. They are superb table fare and test any anglers ability to catch them with their long and powerful fights into the kelp. Although protected in California due to decades of over fishing you can find Black Seabass here at Cedros. Due to the long life span to sexual maturity it is always encouraged to catch and release these beautiful sea creatures. The Giant Sea Basses are found at depths between 100 and 150 feet within rocky structures adjacent to kelp beds. They reach a maximum length of 224 cm (7 feet 4 inches) and can weigh up to 563 pounds 8 ounces based on a fish caught off the Southern California coast in 1968. Within the Baja they can be found for sale in the major food markets and are considered an excellent food fish. 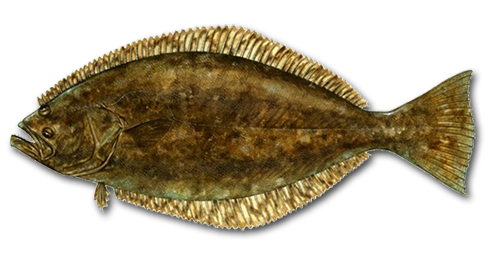 California halibut are large, toothed flatfish found in near-shore waters and may be described as being an estuarine-inner shelf species. They are visual ambush predators that range from Magdalena Bay, Baja California north to the Quillayute River in Washington, being most abundant from central California to Baja California. Cedros Sportfishing anglers enjoy fishing for California halibut. Common methods of angling for this species include trolling or drifting by boat with a baited hook-and-line or lure. Trophy size fish have been taken to 50 lbs. This is just another wonderful sportfish to be found in our fertile water.